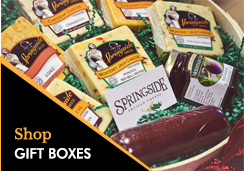 Springside Artisan Cheese - A Century of Tradition in Every Bite! Springside Cheese takes home 7 awards at ICA & ACS!  Making rich award-winning Wisconsin cheese. Producing quality, all natural, preservative and rBGH free cheese. Hand crafting the finest small batches of traditionally hand-milled cheeses. See our current open positions here. 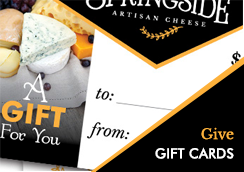 Although we would like to honor all requests, Springside Cheese receives hundreds of solicitations for donations and promotions annually. Unfortunately, we cannot accommodate everyone. We prioritize and make donations to select organizations that support agricultural education and domestic hunger-relief. If your organization meets these requirements, please use the forms below to send in your request. 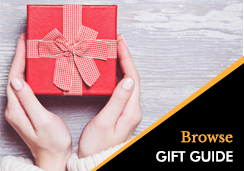 Have you been looking for a quality, all natural product to share with family and friends? We provide natural, preservative and rBGH free cheese for you to enjoy. Serve it with your next dinner or on a tray at your next family event. Making cheese is our family tradition. Make serving it yours. Are you looking for an award winning cheese to showcase in your cheese shop or deli? We can provide you our hand-crafted cheese made in small batches using the traditional techniques of cheesemaking. 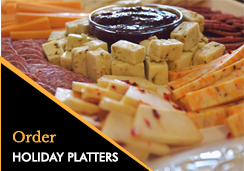 Keep your showcase unique with our specialty Wisconsin cheese. Do you need to add an ingredient that is rich with history and flavor to your next recipe? We put our passion and tradition into making quality cheese that can set your dish apart from the next. Let us help you tell the unique story of your next dish. Visit us at our cheese factory to view the cheese making process through windows overlooking the facility. There are also pictures overhead depicting how we make our specialty cheese. Staff is always available to answer any questions you might have. We look forward to seeing you soon.